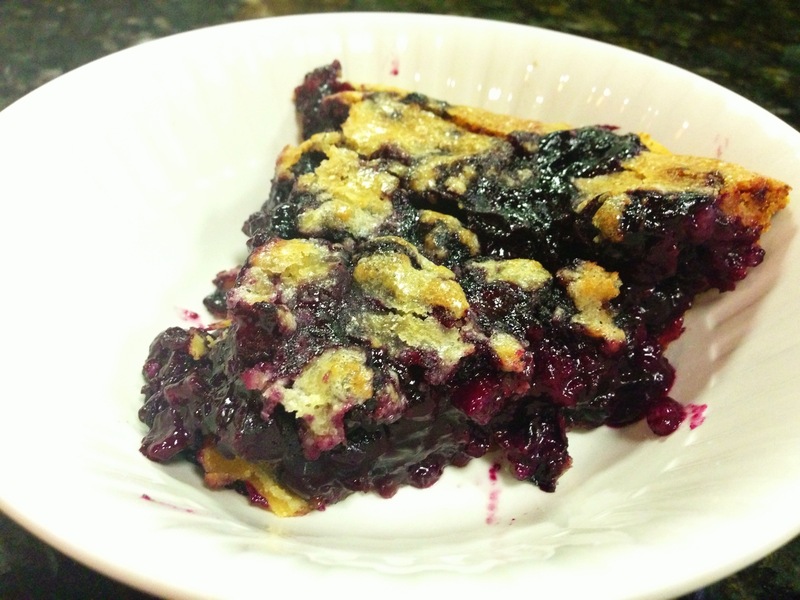 blueberry pie | Is there any wine left? There’s nothing that signals summer to me quite like an early evening spent in the pool followed by dinner on the grill and a fruit pie in the oven. Even better when it’s spent surrounded by dear family. Last week we had one of those evenings. It was perfect. It made me wish I had more of them, but I’m grateful for those moments. Just like that evening, this pie is rooted in family too. It’s my grandmother’s recipe. And it’s so simple that I turn to it over and over again for a great dessert. Grease a pie dish and place the unbaked pie crust in it. Trim the edges. Full the shell with the berries. In a medium bowl, beat the butter until it is lighter in color then add the sugar. Beat until combined. Slowly incorporate the flour, egg and vanilla. The consistency will be like sugar cookie dough. Press the batter into an even layer on the top of the blueberries. Bake at 350 degrees F for 1 hour. Cool for 10 minutes before serving. 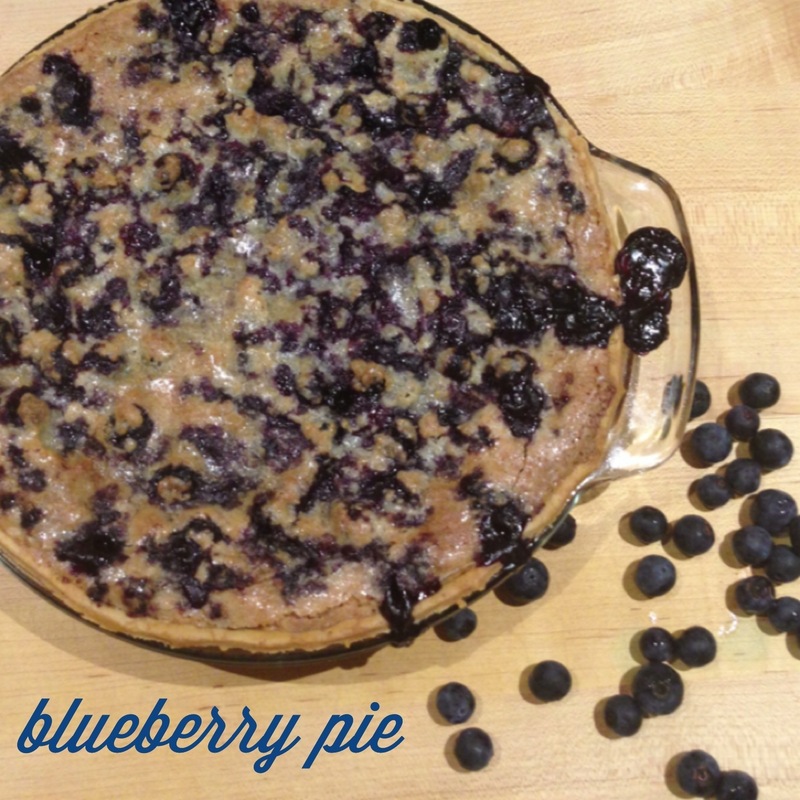 Katie, I made the blueberry pie for my kids and it was a big hit. Thanks!